What is guest mode on android? When turn on guest mode on Pixel 3 or other android devices, you can see you’re android phone looks like buy new device. All third party apps disabled, contacts removed and other phone settings looks reset phone. If you want to secure your personal info or other phone data, switch guest mode when you’re phone use by others. 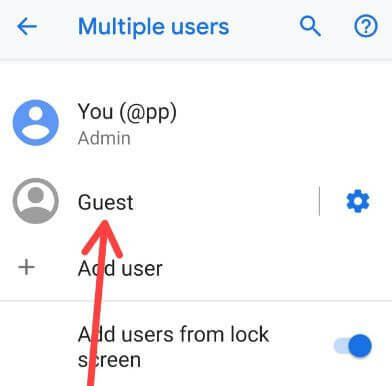 Let see how to use Guest mode on Pixel 3, 3 XL and other android 9 Pie devices. Guest mode feature is best if you want to use multi user accounts on phone. You can create account for personal use and another is for family purpose. Also easily remove guest mode on android device anytime you want. 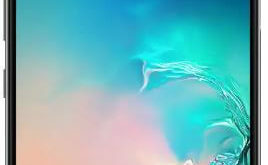 Follow below given step by step process to activate and use guest mode on Pixel 3 Pie. Different android device has slightly different settings to enable guest mode. 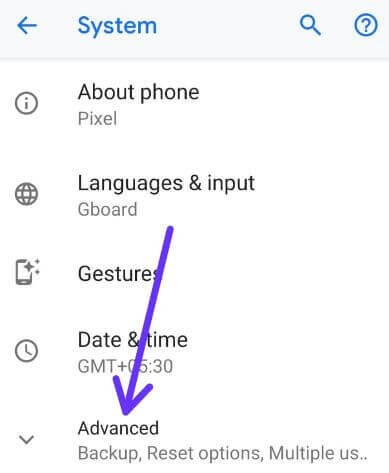 You can switch to guest mode on Pixel 3 XL and Pixel 3 Pie using below given settings. Here you can see Admin, Guest and add user settings. Now all third party apps disabled, contacts removed, your Google account removed and all other settings reset that looks when you buy new devices. It will secure your data from other users. 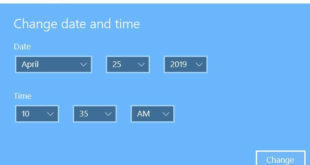 If you want to turn on phone calls while using guest mode, activate it using below given settings. Now activate guest mode on android 9 Pie, you can see mobile number in recent tab without name. So you can make a phone call even turn on guest mode on Pixel 3. 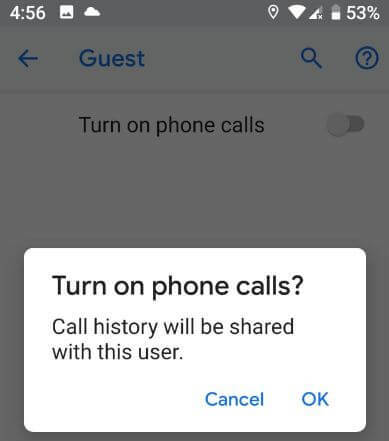 When this feature is turned off, only emergency call allow to guest user. There are two ways to exit guest mode on Pixel 3 and Pixel 3 XL and back on your android device. You can see pop up screen with this message: Remove guest? Now switching to your main account in your Google Pixel 3 and Pixel 3 XL. Now remove all apps and data in this Guest mode session will be deleted from your Google Pixel 3 and Pixel 3 XL Pie. And that’s all. 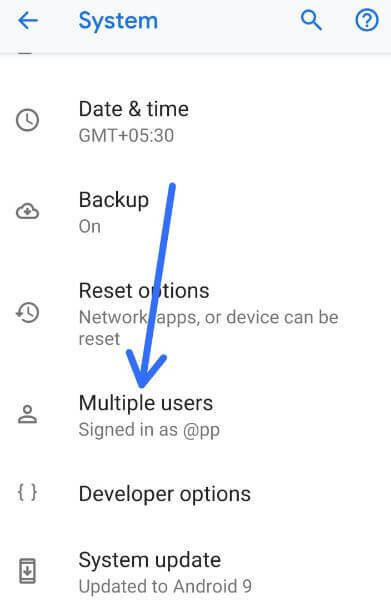 I hope this little tip useful to use guest mode on Pixel 3 and Pixel 3 XL Pie 9.0. If you have any question, tell us in below comment box.